The measure of a liquid's resistance to flow. The measure of a liquid's resistance to flow. Substances with long molecules and strong intermolecular bonds tend to have a high viscosity, because the molecules can't move past each other very easily. Whereas substances with short molecules and weak intermolecular bonds tend to have a low viscosity, because the molecules are able to move past each other more freely. Viscosity increases as temperature decreases which is why lava starts off thin and fast-flowing then gets thicker and slower as it cools. Substances with long molecules and strong intermolecular bonds tend to have a high viscosity, because the molecules can't move past each other very easily. Whereas substances with short molecules and weak intermolecular bonds tend to have a low viscosity, because the molecules are able to move past each other more freely. 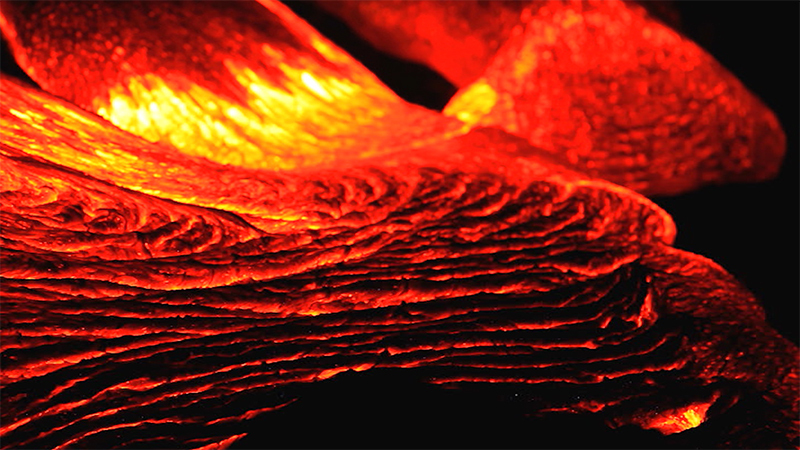 Viscosity increases as temperature decreases which is why lava starts off thin and fast-flowing then gets thicker and slower as it cools.